in various language and countries simutaneously. 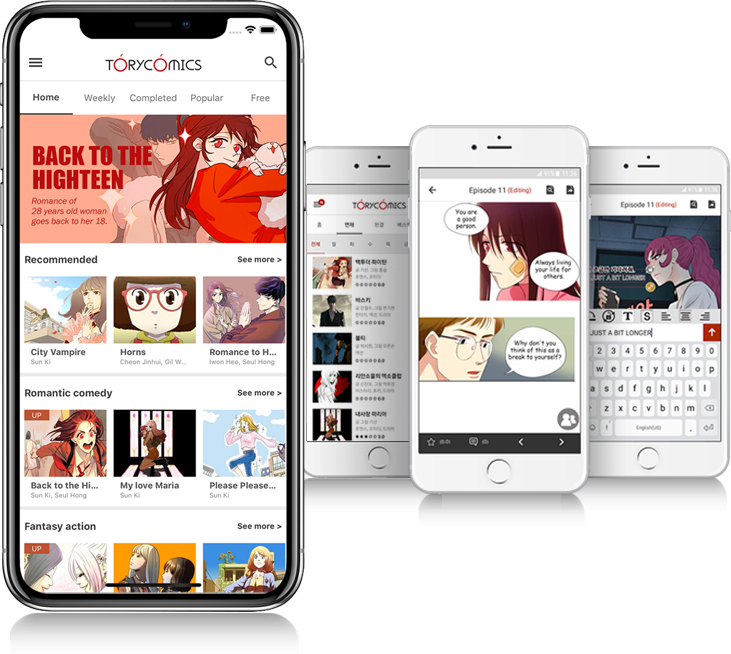 You can enjoy global webtoons easily in ToryComics app. Korea Beta Service starts October 1st, 2018. Now in service with 13 languages in 142 countries. when transwritten comics make revenue. and become expert with fame. Anyone, even you, can become webtoon transwriter. 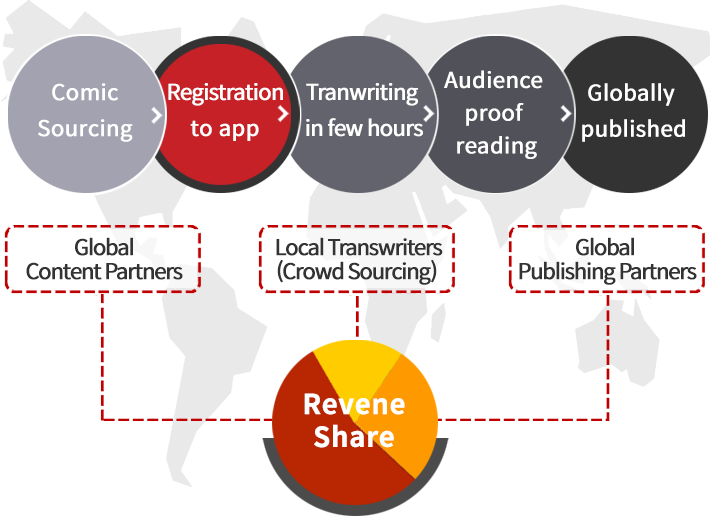 from mobile and get profits shared. 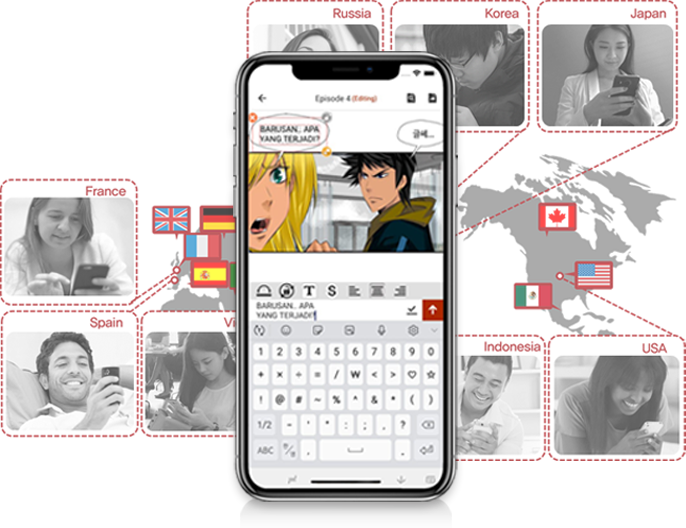 Join as a translator and earn money and fame! Your title can be introduce worldwidely. Please register your best works. © 2018 Toryworks Co.,Ltd. All Rights Reserved.